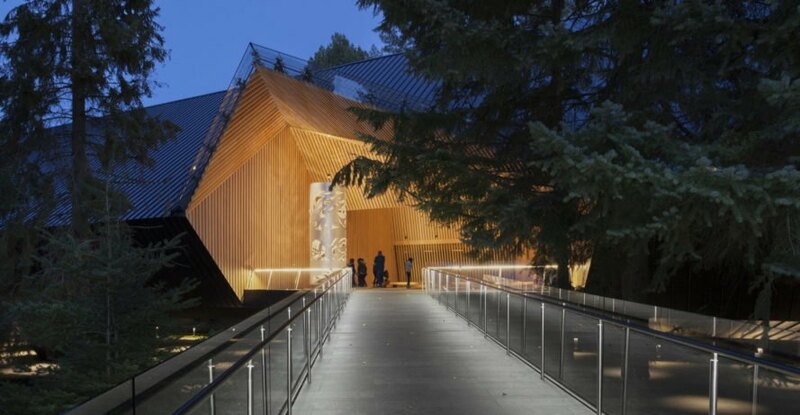 This angular museum meanders through a forest in British Columbia. 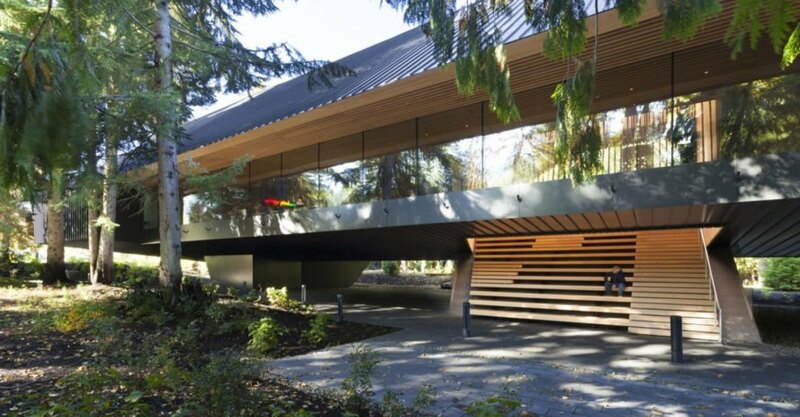 Canadian firm Patkau Architects designed the elevated building to house a private collector’s artwork and keep it safe from flooding. The museum’s linear succession of spaces creates a promenade that evokes the experience of strolling through the forest. 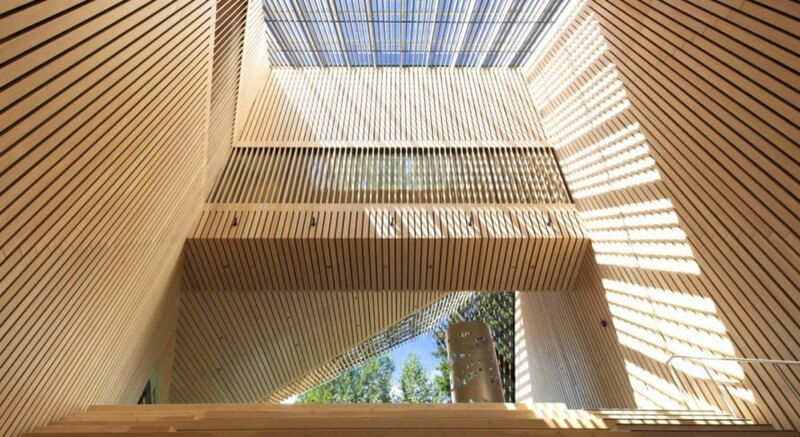 An elevated walkway leads to the main entrance of the building, which is located beneath an angular form clad in pale wooden slats. 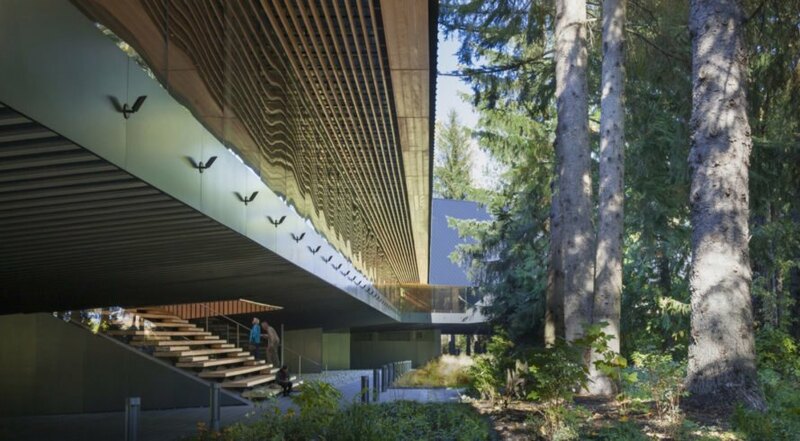 While the exterior facade, clad in black metal panels, gives the building an artificial appearance, the wood-dominated interior connects it to its forested surroundings and introduces an element of warmth and familiarity. The configuration of the site informed the overall massing of the building. In order to protect the gallery from flooding, the building is elevated a full story above the ground. Looking towards the forest, a glass walkway occupies an entire side of the building, while a large stairway at the center connects the museum to the green space below. These design decisions reflect the intent to focus all attention on nature and the artwork. 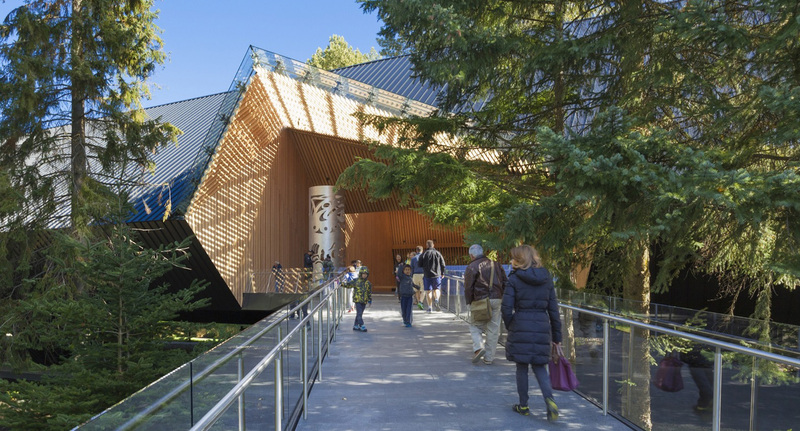 Elevated gallery spaces of this angular museum meander through a forest in British Columbia. 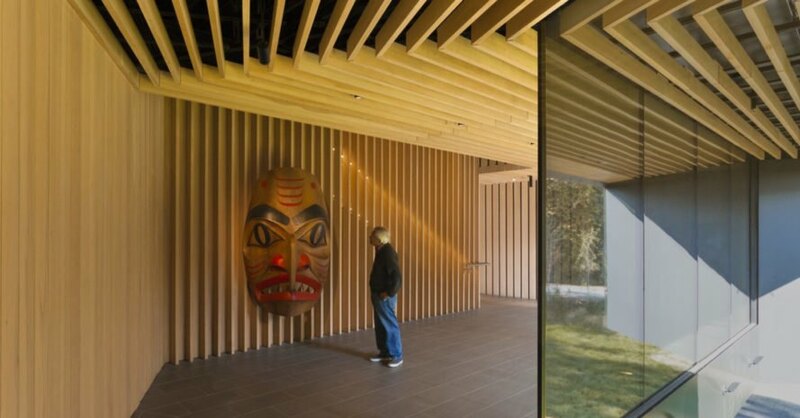 Canadian firm Patkau Architects designed the building to house a private collector's artwork and keep it safe from flooding. An elevated walkway leads to the main entrance of the building, positioned under an angular form clad in pale wooden slates. 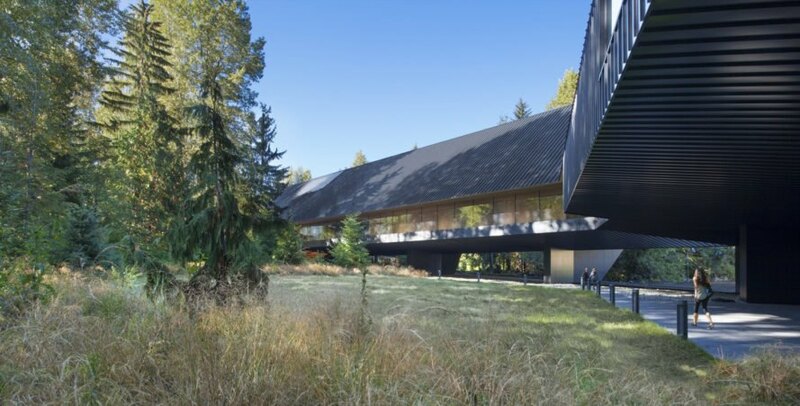 While the exterior facade, clad in black metal panels, gives the building an artificial appearance, the wood-dominated interior connects it to its forested surroundings and introduces an element of warmth and familiarity. The configuration of the site informed the overall massing of the building. In order to protect its content from frequent flooding, the building is elevated a full story above floor. 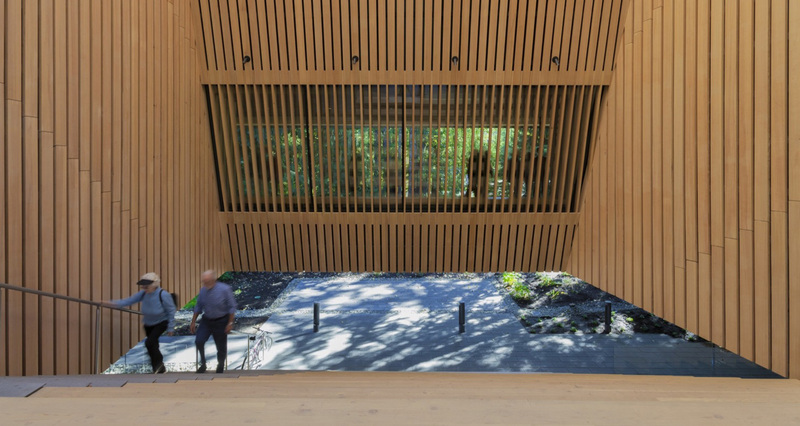 The linear succession of spaces create a promenade that provides the experience similar to that of strolling through the forest. Looking towards the forest, a glass walkway occupies an entire side of the building, while a large stairway at the center connects the museum to the green space below. These design decisions reflect the intent to focus all attention on nature and the artwork. 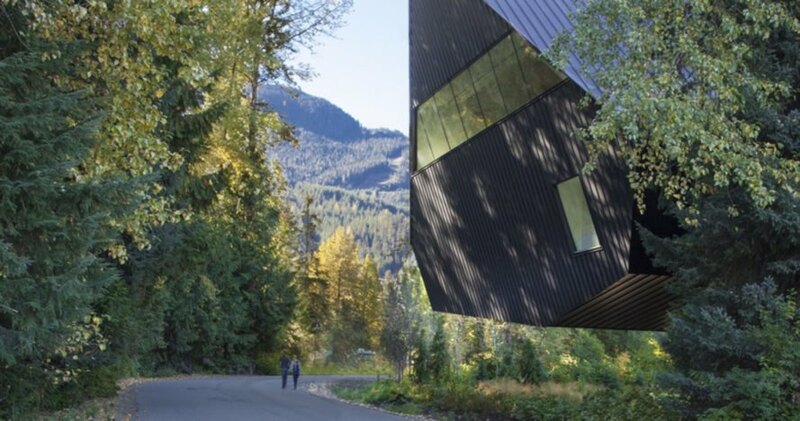 This angular museum meanders through a forest in British Columbia. 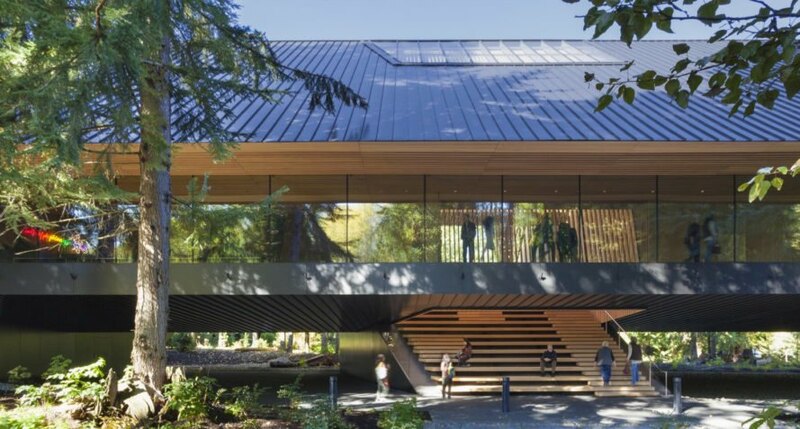 Canadian firm Patkau Architects designed the elevated building to house a private collector's artwork and keep it safe from flooding. 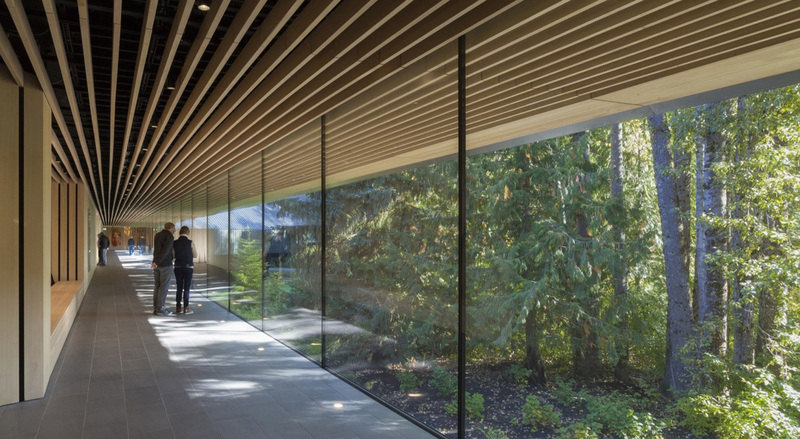 The museum's linear succession of spaces creates a promenade that evokes the experience of strolling through the forest.